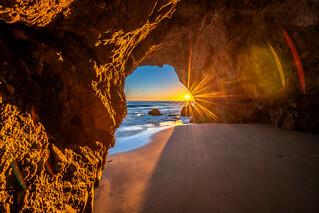 Nikon D850 Malibu Sea Cave Sunset Fine Art California Coast Beach Landscape Seascape Photography! El Matador State Beach Elliot McGucken Fine Art Pacific Ocean Sunset! Nikon D850 & AF-S NIKKOR 14-24mm F2.8G ED from Nikon! High Res 4k 8K Photography! Exalt the goddess archetype in the fine art of photography! My Epic Book: Photographing Women Models! Portrait, Swimsuit, Lingerie, Boudoir, Fine Art, & Fashion Photography Exalting the Venus Goddess Archetype: How to Shoot Epic ... Epic! Beautiful Surf Fine Art Portrait Swimsuit Bikini Models! Follow me my good friends! Some of my epic books, prints, & more! Exalt your photography with Golden Ratio Compositions! Golden Ratio Compositions & Secret Sacred Geometry for Photography, Fine Art, & Landscape Photographers: How to Exalt Art with Leonardo da Vinci's, Michelangelo's! Ralph Waldo Emerson. The happiest man is he who learns from nature the lesson of worship. Lucius Annaeus Seneca: On entering a temple we assume all signs of reverence. How much more reverent then should we be before the heavenly bodies, the stars, the very nature of God! John Muir: All the wild world is beautiful, and it matters but little where we go, to highlands or lowlands, woods or plains, on the sea or land or down among the crystals of waves or high in a balloon in the sky; through all the climates, hot or cold, storms and calms, everywhere and always we are in God's eternal beauty and love. So universally true is this, the spot where we chance to be always seems the best.